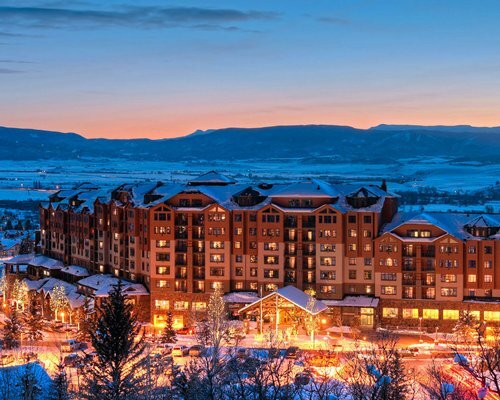 Steamboat Grand Resort Hotel & Condominiums, located at the base of a ski mountain, brings a new level of service to one of America's favorite year-round resorts. 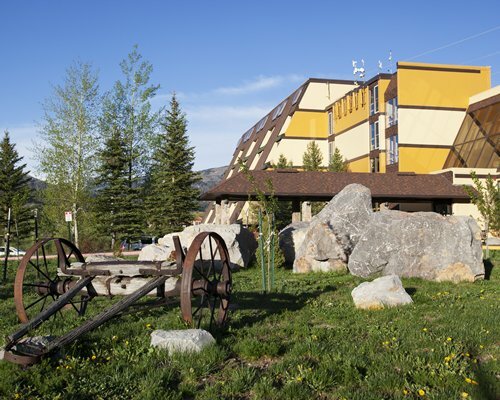 As soon as you arrive, you feel the warmth and beauty of the mountain architecture, from the Grand Lobby entrance and the 327 luxury guestrooms and suites to our Priest Creek Ballroom and a total of 17,000 sq. ft. of meeting space. 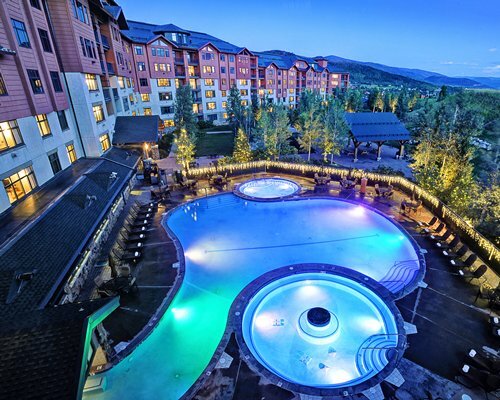 Whether it's business, pleasure or both, the Steamboat Grand Resort Hotel & Condominiums is the perfect place for your next vacation gathering, conference or social event. Unit amenities include color TV, DVD player, VCR, CD player.. The one-bedroom suites consist of one king-size or queen-size bed, full kitchen, fireplace, sleeper sofa, dining area, full bathroom, balcony and sleeps 4 to 6 guests. The two-bedroom suite have both king-size and queen-size beds, sleeper-sofa, two full bathrooms, together with full kitchen, dining area, and balcony. It accommodates 6 to 8 guests. The Double Queen unit contains two queen-size beds, desk, chair, and full bathroom. Two to four guests can be comfortably accommodated. In the intimate Deluxe King unit you will find a king-size bed, fireplace, balcony, and full bathroom with Jacuzzi tub, and accommodates 2 guests. In the Parlor there is only a queen sofa-bed and two daybeds, there is no regular bed in this room, but fireplace, full kitchen, dining area, and full bath. The Studio has a queen-size bed, full sleeper sofa, kitchen, dining table, full bathroom. This unit accommodates 2 to 4 guests. From the Hayden/Steamboat Springs Airport: Take Highway 40 East to Steamboat Springs. Follow Highway 40 through town to the Mount Werner exit. Make a left turn on Mount Werner Road, then take a left on Mount Werner Circle. The Steamboat Grand will be located on your right side. Approximate drive time is 45 minutes. From the Denver Airport: Take I-70 West to the Silverthorne exit. Take Highway 9 North to Kremmling. 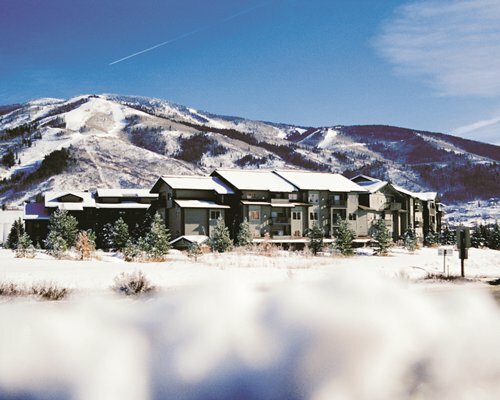 Take Highway 40 West to Steamboat Springs. Take the Mount Werner exit. Make a right turn on Mount Werner Road, then a left on Mount Werner Circle. Steamboat Grand will be located on your right side. Approximate drive time is 3.5 hours depending on weather. Fee for 1 Bedroom units (per stay): Housekeeping fee for all RCI points reservations: There may be a fee of 22.00 U.S. dollars for 1 Bedroom units, per stay. Cash or Credit is accepted. 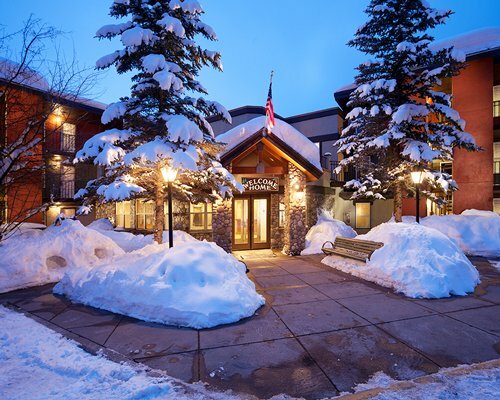 Fee for 2 Bedroom units (per stay): Housekeeping fee for all RCI points reservations: There may be a fee of 27.00 U.S. dollars for 2 Bedroom units, per stay. Cash or Credit is accepted. 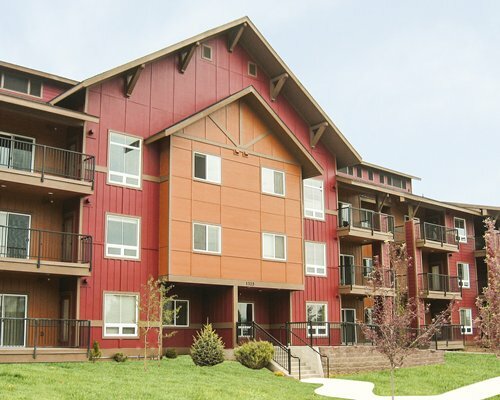 Fee for 3 Bedroom units (per stay): Housekeeping fee for all RCI points reservations: There may be a fee of 32.00 U.S. dollars for 3 Bedroom units, per stay. Cash or Credit is accepted. Fee for 4 Bedroom units (per stay): Housekeeping fee for all RCI points reservations: There may be a fee of 50.00 U.S. dollars for 4 Bedroom units, per stay. Cash or Credit is accepted. Pool and hot tubs closed beginning the morning of May 8th, 2017 and projected to reopen on May 24th, 2017. This is for routine maintenance. 2019-04-15T00:00:00.0000000002019-04-26T00:00:00.000000000"Pool will be closed from April 15, 2019 to April 26, 2019. "The pool will be closed for annual maintenance from 4/15/19-4/26/19.